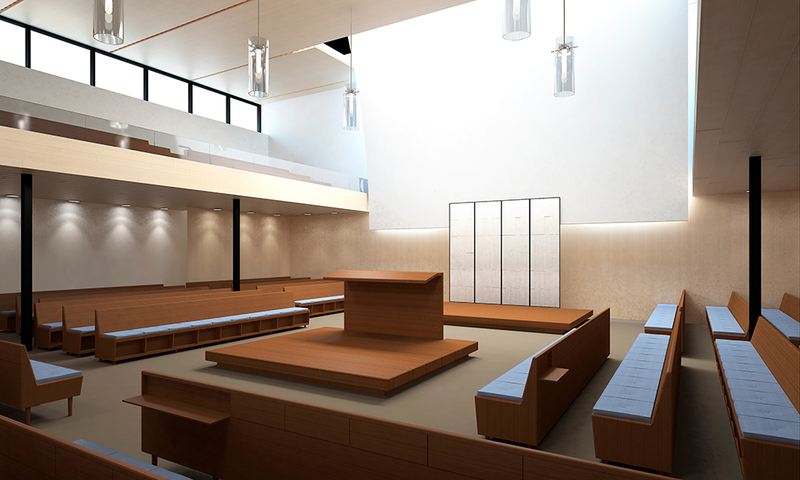 This project included the full interior renovation and the design of a new envelope for an existing 20,000 square feet synagogue located in Highland Park, NJ. 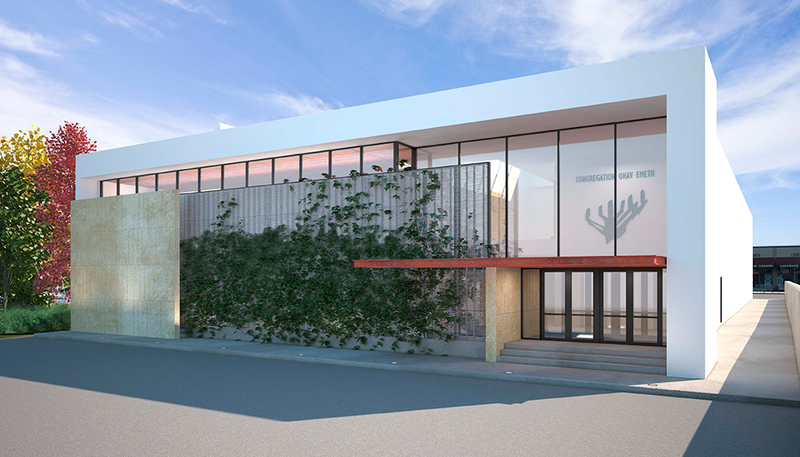 The design offers a more contemporary approach to accommodate the main sanctuary, kitchen and dining areas, and additional classrooms. 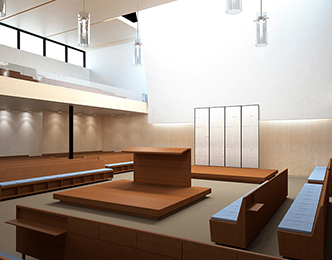 This project included the full interior renovation and the design of a new envelope for an existing 20,000 square feet synagogue located in Highland Park, NJ. The design offers a more contemporary approach to accommodate the main sanctuary, kitchen and dining areas, and additional classrooms. 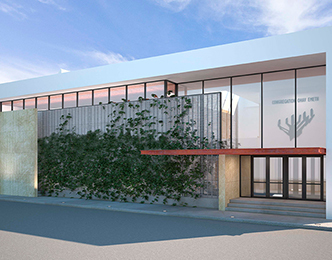 The new entrance façade incorporates a green screen to offer privacy to the sanctuary space immediately within while maintaining a visual connection to the natural landscape of the grounds. Warmer color woods balance the lightness of the main sanctuary and offers seating for contemplation and meditation.